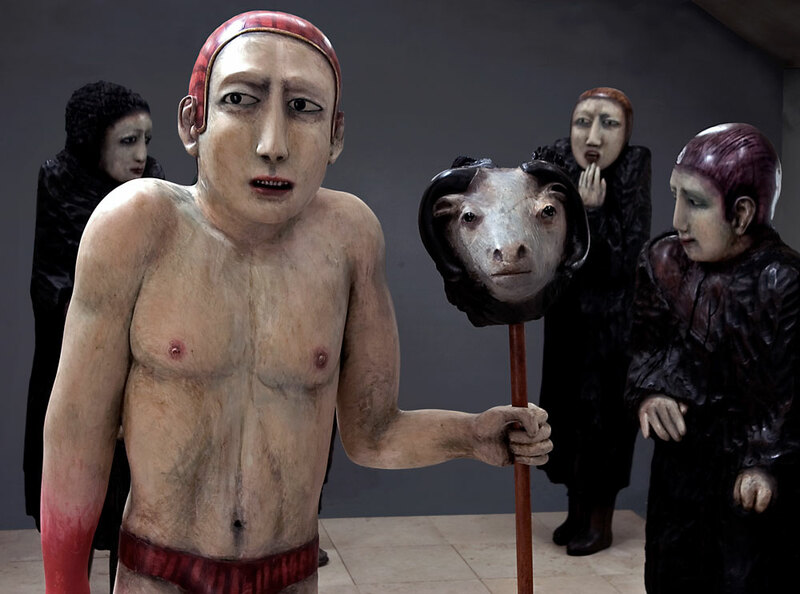 Pacheco completed Man and His Sheep after her four year spell as Head of Fine Art at Norwich School of Art. 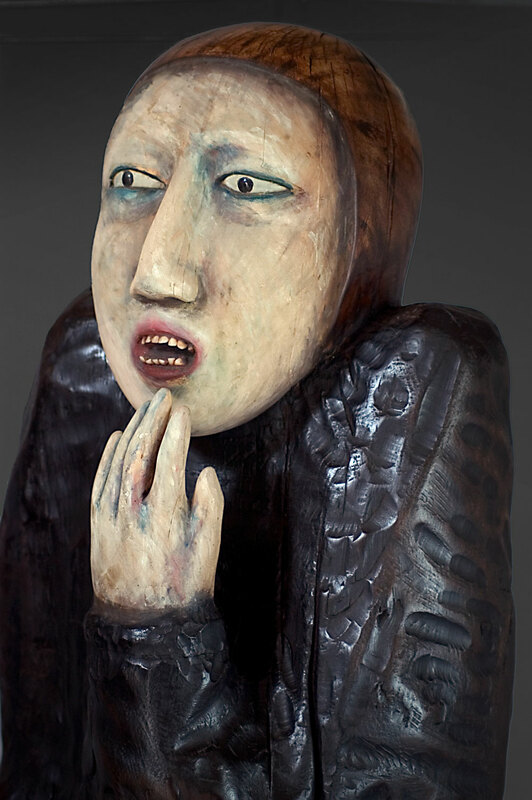 As in some of her other works, the imagery combines pagan and religious elements, here in the suggestion of shaman/shepherd in the leading figure. Prints and drawings leading up to the sculpture show constant revisions of the relationship between the leader, the group and the sheep’s head. The leader in most of these is oppressor of the group – in one he confines them in a pen and squats on them. 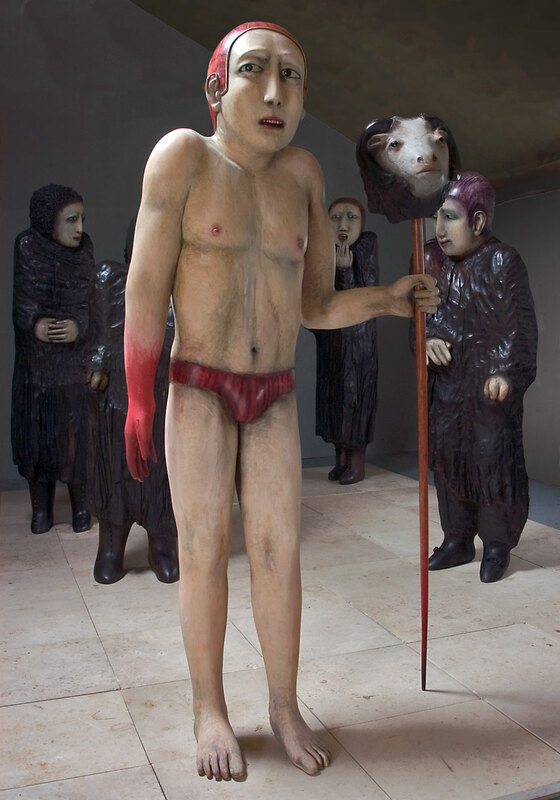 The group, despite the protests of some members, are victims of the leader’s whim; and the sheep’s head (in one case an ox’s skull) represents the remains of a sacrifice. The final sculpture is more equivocal. The leader now looks burdened and uneasy. 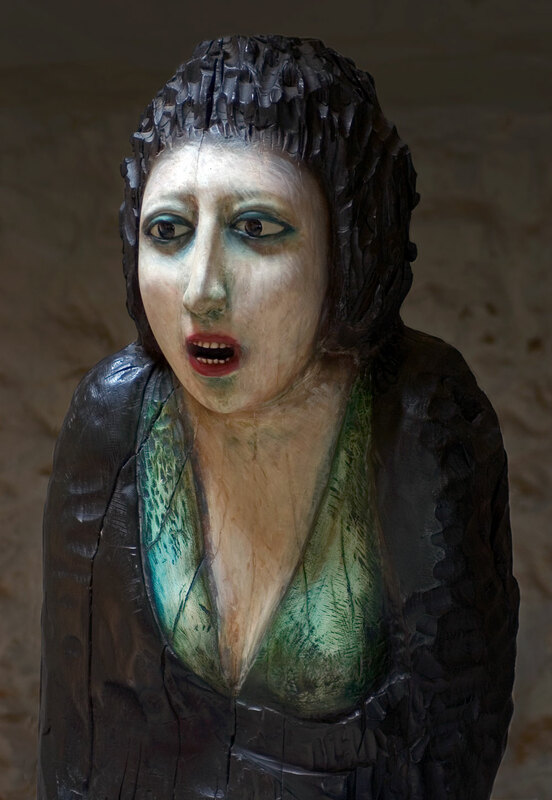 The postures and expressions of the group show a variety of responses to him and to whatever acts he has perpetrated, but they are not submissive. 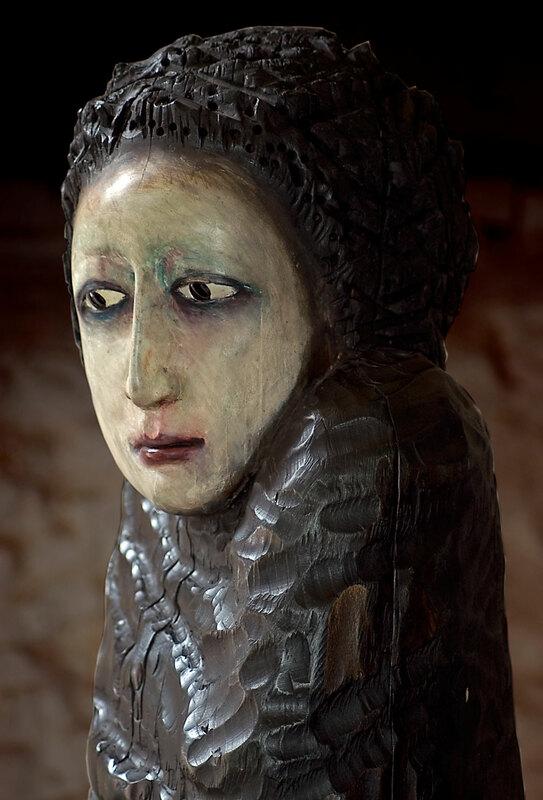 The steadiest gaze in the entire piece comes from the sheep’s head, which seems to radiate a power of its own. 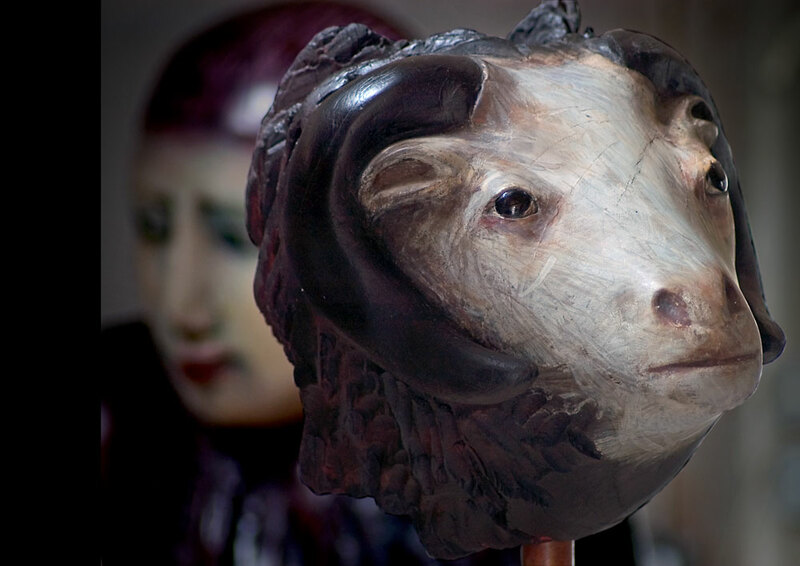 Man and His Sheep was the first of Pacheco’s sculptures to be exhibited in a church – at St John’s Catholic Church, Bath in 1989. 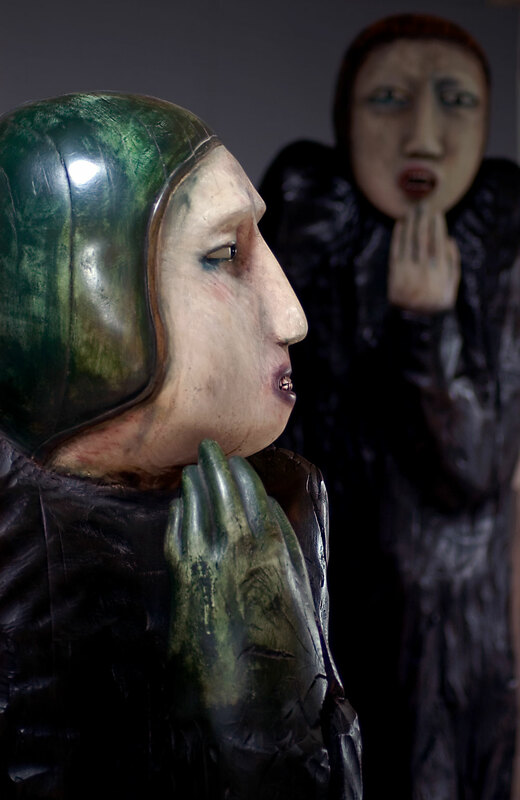 In this piece she was more interested than hitherto in the garments the figures wear. After blocking out the main shapes in the logs, she set them on fire. Having doused them she then made rough cuts with a chainsaw to suggest folds and hair, softened by the effects of burning. Pacheco exploited the chanced-on image of smoke billowing from the burning figures in subsequent paintings, prints and drawings. 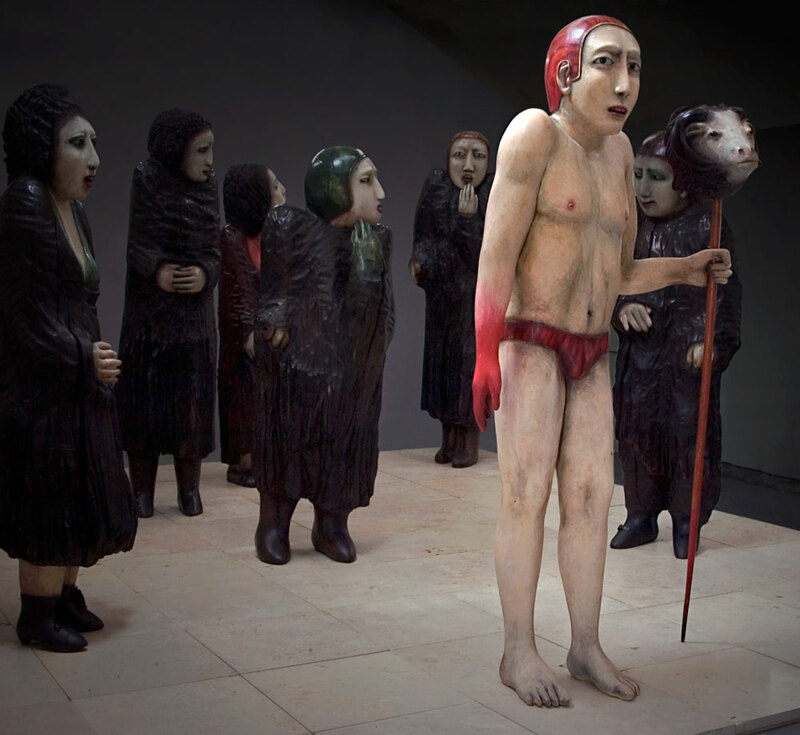 As with her other works, Pacheco encouraged viewers to walk among the figures and encounter them face to face, to become for a moment one of their number.